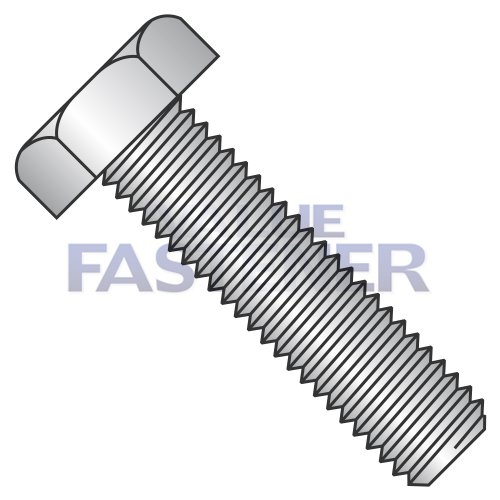 A tap bolt is usually a fully threaded hex bolt. They are designed to be inserted through holes in assembled parts and tightened by torquing a nut, or mated with an internally threaded (tapped) hole and tightened by torquing the bolt's head—just like their hex bolt counterparts. They have hex heads along with an underhead washer bearing surface.